Forget the monetary loss of dealing with medical identity theft; the headaches you experience when dealing with it are the real cost. They're also the reason why we want to make sure that we have a plan of action in place beforehand. Wait until it happens to you and you're going to wind up having a pretty tough time getting everything in order again, especially if you're recovering from a medical condition. Here are three major steps for untangling the situation if it happens to you. 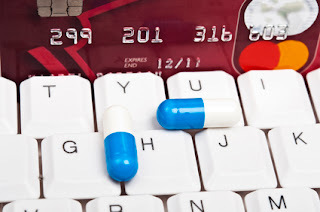 Medical identity theft has some vast differences with other forms of identity theft. The big one is that you have to sort out not only your credit records, but your medical records as well, so this is going to be the first step. When somebody steals your social security information in order to get covered under your health insurance, your medical records will be compromised with whatever claims the identity thief might have made. This can be a major problem when it turns out that your doctor won't prescribe a certain medication because the thief was allergic to it. It's important to contact your creditors quickly. Dealing with medical fraud is not a "when you get around to it" issue. Even if the actual financial cost winds up being rather minor, the impact on your credit and on your medical records can be tremendous, so contact your creditors. The process can be like pulling teeth. You need to remove unauthorized charges, go through each charge with your company to see if fraud has occurred, close down any open accounts that may be insecure, and get a new credit card number, PIN and password. It can be a real slog wading through all of these steps, but it's necessary to get your credit back to what it should be following fraud. Now that you've dealt with the hassle of fixing your credit following medical fraud, the next step is making certain that it never happens again. There are some pretty comprehensive protection packages out there, so make sure you do the proper amount of research to find the one that fits your needs. You can also start by requesting an accounting of disclosures to keep your records in order, and you'll want to make sure to check your credit report at regular intervals from now on, and most importantly, report and dispute every inconsistency. Nothing is too small to talk to your medical team and your credit company about, because while the financial cost of medical fraud might not always be significant, the cost to your health might be. Avoiding medical fraud can be relatively easy if you only make sure that you're able to catch identity thieves early on, before they're able to really sink their hooks in. Make sure that you dispute any discrepancies immediately, keep a tight watch on your finances &mdash most of all your credit — and be sure to take into account your medical as well as your financial records. Your physical and financial health are both on the line when it comes to preventing medical fraud. Kevin is an accountant and business consultant with a penchant for muscle cars.